Ambrose de Rouffignac was born in Newlyn on July 22, 1870. 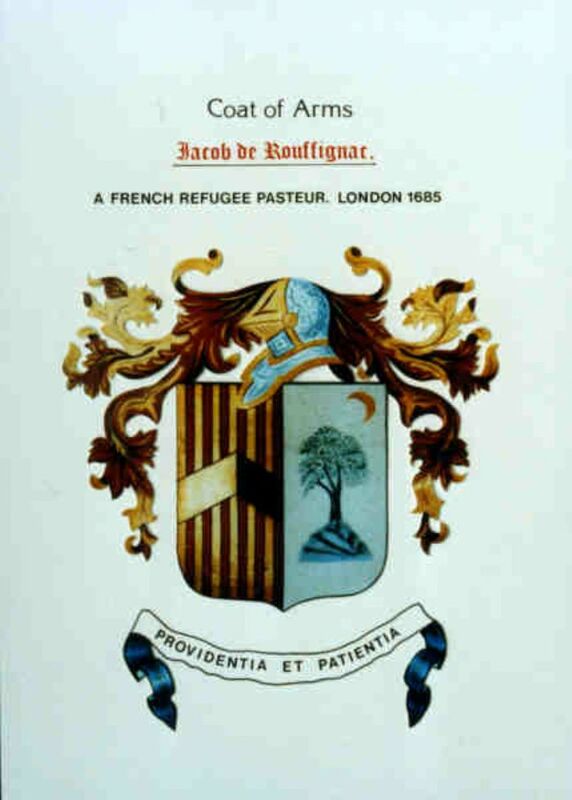 The de Rouffignac's ancestors were Huguenots, one of them a Huguenot priest, and they had fled to England at the end of the eighteenth century to escape persecution. Ambrose was the son of a father of the same name who was a mariner. In 1883, the family were living in Trewarveneth Street where they had lived for over twenty years and Ambrose attended the Wesleyan Boys' School, which had opened in 1880. Ambrose’s boyhood ‘claim to fame’ was that he modelled for Henry Scot Tuke. He was thirteen years old, the second child of that name in the family, the eldest son Ambrose having died when he was just two years and two months old. Tuke’s 1883 painting, Dinnertime, depicts a boy with a knife and a pasty in his hand sitting by a heap of tanned brown sails. In her biography of her brother Maria Tuke Sainsbury describes Ambrose as ‘a wild young boy from a family of French extraction who Tuke likened to a tiger’. 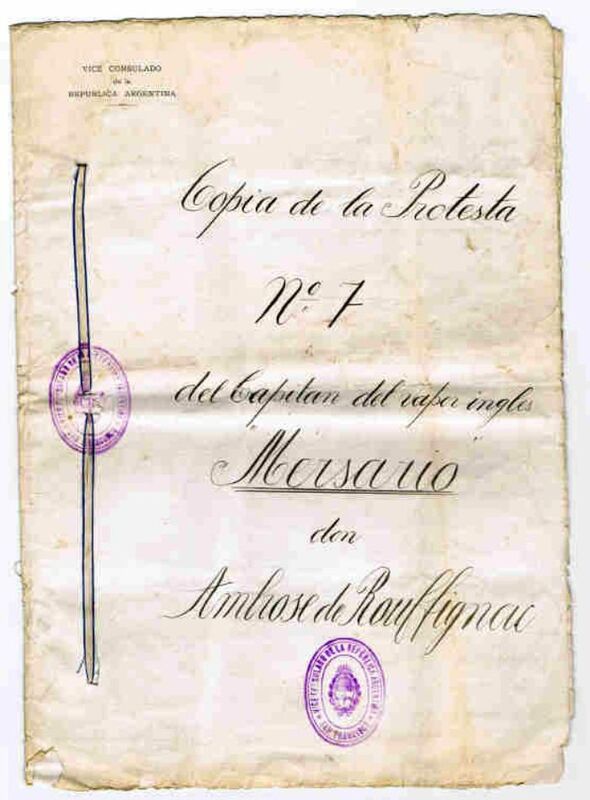 In fact, Ambrose Rouffignac became a mariner like his father. In his early career, he worked for seven years on the fishing boat Ann as a second hand and cook. Between 1890 and 1894, he served on the Cardiff, the Pocahontas, the Mantibo, the Eskdal (Liverpool), the Ambitodes (Aberdeen) and the SS Trelawney (St Ives). In 1894, he applied to be examined for his First Mate's Certificate, and he earned his Master’s Certificate four years later on August 24, 1898, having failed in Navigation in 1895. In 1895, Ambrose Rouffignac married Caroline Bodinnar Trahair, the daughter of a Newlyn grocer, and she had to travel from Newlyn to Cardiff for her wedding. They had four children, Ambrose, Carrie, Mary, and John who was born in December 1914. At the outbreak of WW1, the family was living at the Gurnick in Mousehole and Ambrose was a captain in the Merchant Navy. We do not know how the Rouffignac household managed while Ambrose was at sea, or how often Caroline accompanied her husband on his voyages, but in 1916 they were making arrangements from different parts of the world to arrange apartments for the family at Port Talbot where Ambrose’s ship was to dock. There was concern for their daughter (one of five children), who must be brought to Cardiff for an operation, as there were no suitable specialists at Port Talbot. 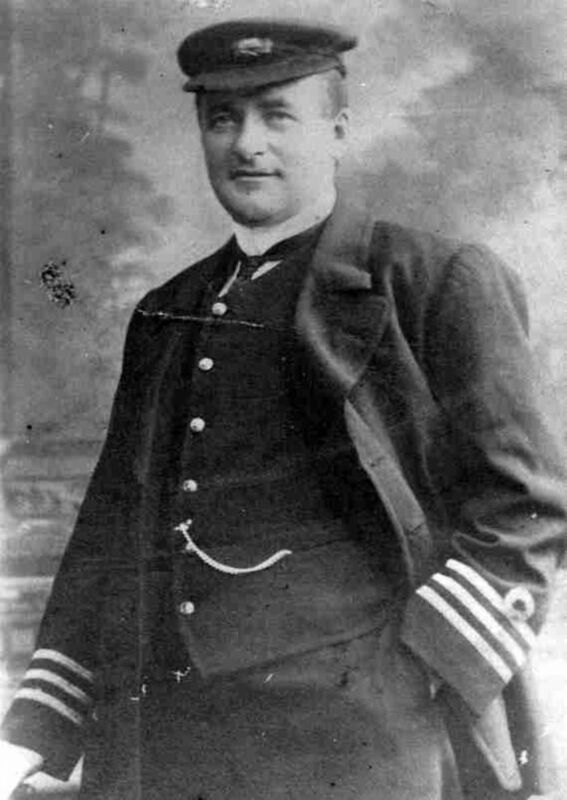 In 1916, Ambrose’ ship the SS Antelope was stopped by an Austrian submarine in the Mediterranean, and the crew, which included his son, were allowed to take to the lifeboats before the ship was sunk by gunfire. On May 28, 1917, his defensively armed merchant ship, the SS Antinoe was steaming eighty miles southwest of the Scilly Isles. Loaded with a cargo of iron pyrites, she had left Seville on the 17th and she was on a passage to Newport, South Wales. On board was her crew of twenty-four and two naval gunners. At 9.20 am, the Antinoe was hit by a torpedo fired by the German submarine U86. In less than two minutes, she sank.